We recently had an issue with what we surmised were bed bugs at a friends apartment, after she complained about some odd itchy spots appearing at random times on various parts of her body. Her doctor then confirmed this. 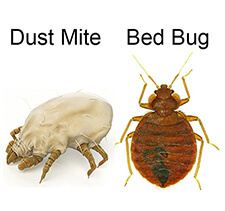 She found this site “ Bed Bug Barrier “ that appeared to offer a comprehensive “fix” to alleviate the little critters. She purchased a range of items as per their recommendations, applied it as per the instructional video …. and NO MORE CRITTERS. She had a few questions and Tony was helpful in guiding us as to what she needed in her circumstances. They were very helpful, professional and efficient, we would certainly recommend them to anyone who has these problems.